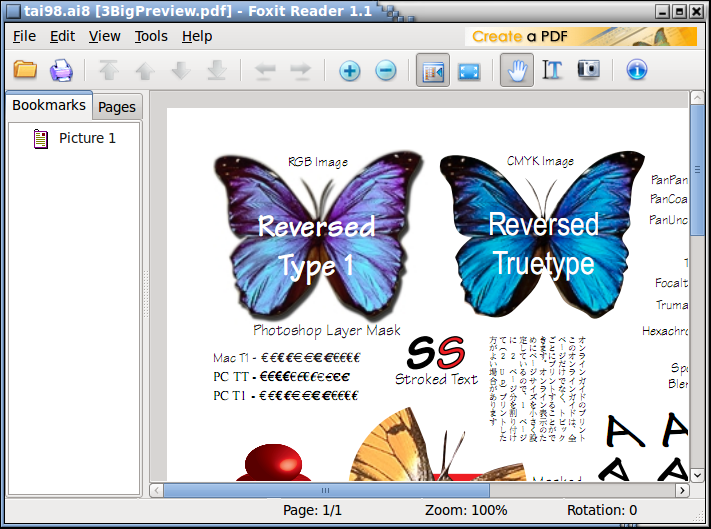 Before Foxit's Reader for Desktop Linux was available, users would have to download PDF Reader software that is much bigger in size and much slower and then wait for its lengthy installation process to be completed. * Incredibly small: The download size of Foxit Reader for Linux is extremely small. * Minimal memory consumption: The memory consumption is less than 15MB. * Amazing fast: When you run Foxit Reader, it launches instantly without any delay and loads a PDF file less than 3 seconds . * High security and privacy: Foxit Reader highly respects the security and privacy of users and will never connect to the Internet without the user's permission. 1. Can't record the Navigation Panel status when a user exits. 2. Can't keep refreshing the list of recent files in real time. 3. The page scrolling feature is invalid if finding text is not finished. I am a BSc student at sharif university of Technology and need to find a spftware with its source code wich converts JPEG to PDF.can u help me? got bored with normal pdf reader in the ubuntu. now i can create the pdf in ubuntu.